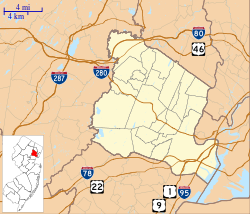 Shorthills is affluent community within Millburn Township, in Essex County New Jersey. It is a popular commuter town for residents who work in New York City. Shorthills offers superior schools, expansive properties and the conveniences of being close to nature at the South Mountain Reservation and the Cora Hartshorn Arboretum. In addition, Shorthills is home to one of the best malls in the country, the Mall at Short Hills.